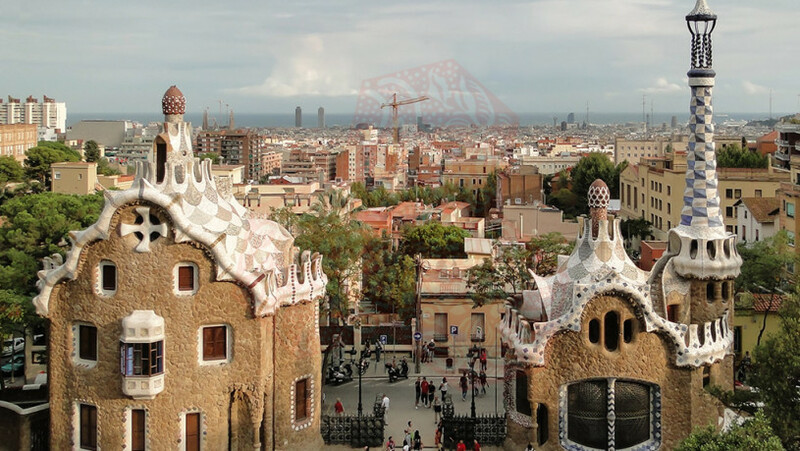 Last week we asked the questions why did Park Güell fail? and why were there no buyers for the lots despite the great advantages being offered and the reasonable price that they were being sold for? The answer remains a mystery. However one reason that has been suggested is that Güell was a Mason (though there is as yet no proof of this) and wanted to establish a lodge for his fellow Masons, meaning that the number of potential buyers was restricted quite drastically. The question remains: why didn´t any Masons take up this opportunity? Another commentator has pointed out that the development was too far from the city and that there was no means to reach it by public transportation—though this did not stop the adjoining neighborhood from prospering. Another idea that has been presented is that at the time the development was planned and built, the business class, afraid of a worker’s revolution, had quieted their Catalan nationalist fervor in order to keep on good terms with the central government in Madrid and its protective army. Park Güell was too openly pro-Catalan and this scared away buyers. Eusebi Güell may have been great afternoon company for his cultivated, gifted and prominent friends, but living with him in a community in which he drew up the rules and established the tone and activities may well have been too much for most of these acquaintances. Or, again, once Gaudí had built the two gate houses, finished during the first phase of construction, more than one potential buyer, or his wife, might have decided that they were not about to live in a community with entrance buildings that imitated gingerbread houses covered by white icing. If that was the face presented to the public, what would Gaudí think of for the houses of the residents? None of the three houses on the grounds are the work of Gaudí. Larrard House came with the property. Eusebi Güell went to live in it in 1906, 18 years after Gaudí had built Güell Palace for him. Gaudí made a few minor changes: he added a porch, a parabolic entrance arch to the chapel and a green house. Little of these efforts remain today in their original form. As in the case of Güell Palace before its owner moved away, Larrard House became a center of the city’s social life, its visitors and guests encompassing members of the royal family and artisans and workmen and everyone in between. Gaudí was asked to design the model house, but he didn´t, was this because Gaudí was aware by now (1902?) that the development was a failure? It was designed by Francisco Berenguer Mestres and, instead of being used as a model as originally intended, was put up for sale as soon as it was finished (1904). As no one showed any interest Güell suggested to Gaudí that he move there with his elderly father who could benefit from the fresh air. So, in 1906 Gaudí used some of his father´s savings to buy it, and he and his family moved in: that is, the architect, his father, Francisco Gaudí, and his niece Rosita (Rosa Egea). A maid, Vicenta, accompanied them. (Gaudí´s brother, a doctor, and his sister and mother were already dead.) 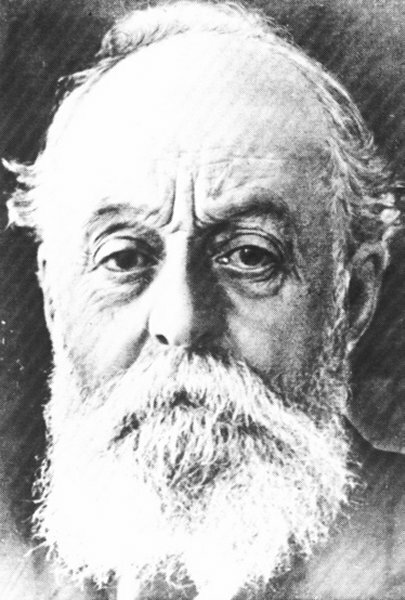 Gaudí´s father, at age 93, died almost immediately (October, 1906) of bronchopneumonia. Rosita died six years later. Gaudí remained, accompanied at times by friends, above all by Llorenc Matamala, head of construction at the Church of the Holy Family. He moved out in 1925, the year before he died, to his studio at the Church. Though virtually empty, the rural police and the gate keeper kept the place secure. Once he realized that his original dream of a private community would not be fulfilled, Güell opened Park Güell, to a limited extent, to the general public. He allowed visitors to wander around the premises once they had paid a small entrance fee. People may not have wanted to live in Park Güell but they sure wanted to look at it. And, always the magnanimous benefactor, he permitted Park Güell to be used for large social gatherings if he agreed with the goals of a particular association or the cause for which they were trying to raise funds. Güell died at Larrard House in July of 1918. In 1922 the city of Barcelona bought Park Güell to convert it into a public park which it remains today: Park Güell became Parc Güell or Parque Güell. Larrard House was turned into a public school the next year—a large, red, extraneous element in a landscape of Gaudianesque fantasy which, fortunately, has become less noticeable over the years with the growth of the surrounding trees.